COPYRIGHT (2012) Llewellyn Worldwide, Ltd. All rights reserved. 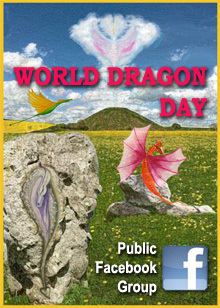 It is 2012, an auspicious time for Dragons—and Dragon lovers—the world over. On the back of the Sovereign Plumed Serpent, the Mayan Long Count calendar is winding towards the close of the Fourth Age. If the past is precursor of the future, this means the beginning of the Fifth Age is at hand—a joyful turn of events that no doubt disappoints eschatologically-minded folks counting on the world coming to a crashing end. Less contentiously, to the billions attuned to the Chinese zodiac it is the Year of the Dragon—the Water Dragon, to be precise—a year for optimism, reflection, and big dreams. With all of this draconic energy informing the Universe, it is fitting to ponder the foundational questions of Dragon Science and answer, if we can: What are Dragons and why are they so important to us? The human experience is rich with cosmological lore, legends, and faȅrie tales—not to mention authoritative lexicons. All of these make most everyone on Earth—and a few other planets—comfortable picking “generic” Dragons out of a zoological line-up. According to such sources, your standard Western or European Dragon is a vicious reptilian creature, winged, usually fire-breathing, who nests on a hoard of riches and dines on sacrificial maidens and the errant heroes inspired to rescue them. Oriental Dragons, we’re told, are more benevolent beings, long and sinuous with bewhiskered leonine heads and silky manes and ankle tufts. The third species of True Dragon, the New World—also known as Feathered—Dragon is rarer and, thus, less well known, but even they would be recognized soaring over the Yucatan. Note: There are, of course a plethora of lesser dragon species around the world but True Dragons are more than sufficient for our discussion. Simply put, in the shorthand of Dragon Studies, they are Magnificent, Monstrous, and Mythic. Of course, Dragons being so much more than other creatures, are also mammoth, magical, and much maligned. Those less kindly disposed towards Dragons would likely add malevolent, mendacious, and menacing. What exactly do such words mean in a draconic context? Are they even accurate? And what do they tell us about Dragons and their place in our world? Despite certain zoological particulars that are at odds with these general perceptions (see The Dragon Keeper’s Handbook and Dragons for Beginners for specifics), there is little doubt that they are magnificent. These great creatures are as large as any megafauna and twice as graceful; they light up the sky with fire and usher rain from the clouds. 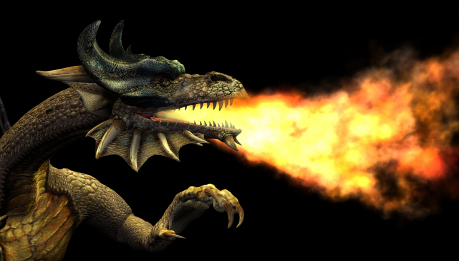 Let us not forget that on a level of sheer metrics, Dragons are jaw-droppingly awesome. A full-grown European Dragon can reach 75 feet from nasal horn to tail spade, her wings unfurling like great lateen sails eager to billow and swell; mature Asian Dragons have been known to measure 100 feet and shake the earth with a whisper of their passing. Combine this corporeal prowess with mental acuity and nobility of spirit, and Dragons become the poster children for magnificence. Monstrous is a more partisan epithet. The very word is conflicted, its Latin root, monstrum, meaning everything from omen to (traditional) monster to miracle! And as such embraces Dragons, length and breadth and everything in between. Sadly we humans like to attribute moral weight to our monsters and bandy the word around to inspire nightmares, fear, and jingoistic furor. When dealing with Dragons, it is wise to remember the words of Andre Gide: “There are very few monsters who warrant the fear we have of them.” That said, Dragons are prodigious, unusual, stunning, and dangerous. They are quintessentially natural with all the light and dark that entails. Dragons are the apex predator, and, though often more reasonable than the humans who have pursued them, have every right to defend themselves. These monstrous miracles of cryptozoology deserve to be treated with respect and caution, and most of all, understood. As Melville said, “Ignorance is the parent of fear,” and fear makes us do very stupid, cruel things. Cryptic Dragons-as-Monsters serve as a bridge between their dynamic physical presence and the even more ambiguous complexities of their mythic status. Back in the day, Dragons were Creators and Destroyers, gods and cohorts of gods. And why not? When our ancestors were struggling to survive in a hostile Paleolithic environment, Dragons were romping and roaming across the landscape, leaving their psychic paw prints on human hearts and minds. In this primitive world they were large where we were small, powerful where we were weak, and as wild as any creatures of sea, soil, or sky. They were made for myth, for embodying all that was unexplained and mystical in the world. We latched onto them to make sense of that which was beyond words. In stories told across the hearthstone, we inflated Dragons to meet our needs. These supernatural creatures stretched from briny abyss to star-pocked heavens, dined on the sun, and eclipsed the moon with the furl of a wing. They were fire and water, earth and wind, the magic of the elements, the rhythm of the seasons. In time, shamans sought them for wisdom, and, to our shame, would-be heroes fought them for glory. Since those early days, the mythic import of Dragons has faded, becoming more symbolic, more token, than it once was. Finding strength in numbers, people went from clans to villages, from cities to states. We built walls between us and the wilderness and, in the process, cast down our draconic deities, raising in their place gods with whom we were more comfortable, gods who looked more like us. Through millennia, we who were made in these new gods’ image, grew in our arrogance and ran roughshod over the planet and all her habitants. In the process, we lost much of our sense of wonder so vital to keeping Dragons with us. Bit by bit, our scaly friends slipped out of the real world and into the mist of fantasy and faȅrie tale. Fortunately, out of sight did not mean out of mind and, even in absentia, complex, contradictory Dragons ruled the mythic imagination as powerful metaphors. Depending on culture and worldview, they’ve represented everything from the greatest good to the vilest evil. Fortunately, their metaphysical standing not only kept them alive but made possible their resurgence. 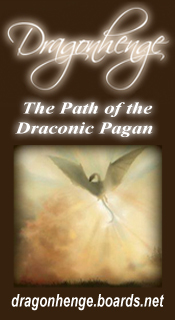 Dragons-as-Myth continues to be at the heart of their presence in our lives. 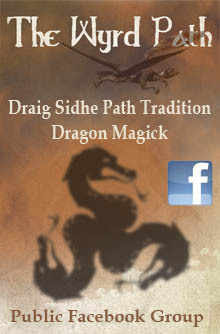 Which leads us to Dragons in 2012. Their year. It is a time to embrace all we know of Dragons and all we have yet to learn, their natures both physical and metaphysical. I have kept company with Dragons for more than half a century. I have studied, worked with, written about, and adored them. I have read lore and science and the most fanciful of tales. After all that delicious time amongst them, the one thing I know for sure is that you can’t fit all things Dragon into a teaspoon—or even a teacup. Our relationships with Dragons are about as subjective as they come. There are few rights or wrongs, few hard-and-fast rules. In the end, there is only unique personal experience and empirical Dragon wisdom. One person’s Dragon is ravenous flesh and bone, and for another, a winged guardian who flits around the edges of the dreamtime. For some, they are loyal, family-oriented beings just trying to survive against daunting odds; for others they are channelers of magic and keepers of elemental power. They teach us how to find balance with the nature and remind us, by their raw majesty, that we are here to care for the world, not exploit it. Real and imaginary, learned and wild. Dragons are all of these and so much more. That is as it should be. We’ve burdened them since the dawn of time with our hopes and fears, our faith and wild expectations. Only beings of supernal complexity and strength could bear up under such a load. Novelist Charles Morgan noted, “As knowledge increases, wonder deepens.” As the Year of the Dragon winds down, it behooves all who love Dragons to learn as much as we can about these magnificent, monstrous, and mythic beings. To gift our friends, as our ancestors did, with the simple willingness to believe. Then feel your wonder deepen. 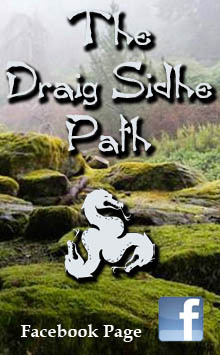 See Shawn’s blog at MacKENZIE’s Dragonsnest. 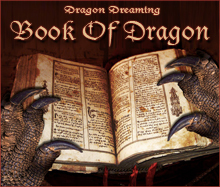 This entry was posted in Dragon Myths & Stories and tagged dragon species, dragons, Paganism and Dragons, Shawn MacKenzie, true dragons. Love all your work this month! Love live dragonhearts! I’m sorry you’re feeling so negative about everything and seem to be heavily weighed down by a belief system rooted in doom, gloom, sin and eternal damnation …which is probably at the heart of your problems!! 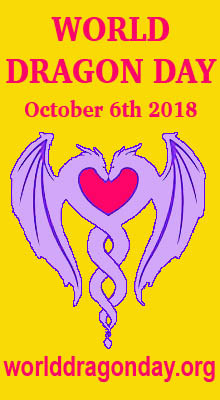 I had compiled some information here on my blog (before I posted Shawn MacKenzie’s essay above) which is also called What are Dragons? which gives many other perspectives of what Dragons are — or might be — and could give you some more food for thought. Dragons are certainly NOT dead! They are a primeval force — a spiritual and physical force. In the hierarchical order of beings they are on the same level as the angels. They are the power sources of the Earth; the power of the winds, the fire in the volcanoes, the ferocity of the storm and waves, the Ley Lines of the Earth. Dragons are admirable, intelligent and educated creatures. You really need to change your focus in life — ditch the pessimism and try to develop a more optimistic outlook. Focus on and give thanks for the good things in your life, no matter how small, and gradually you might start to see that things can get better, regardless of how old or *young* you might be (I Googled your name and email). And if you can’t do that on your own, please seek help from others to do so — friends, family or even medical practitioners.